Internet Archaeol. 25. Williams. The Lesser Kyz Kala. There are 113 images of this building, taken over the period from 1890 to the present day, in the photographic archive. In addition, a rotating image was created in 2006 (Fig. 47). The Lesser Kyz Kala is very similar is layout and design to the Greater Kyz Kala, but on a much smaller scale (Fig. 48). Perhaps because of this the exterior walls below the corrugations are steeper, with a battered wall rather than a sloping platform. It is not clear where the entrance was: an arched opening in the centre of the north wall, which is recorded by Pilyavsky in 1937 as a break (Pilyavsky 1947, 59), is one possibility. 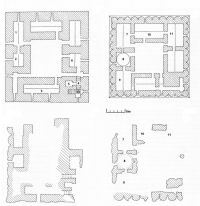 Much of the plan of both storeys has been recorded, with smaller rooms in the centre of the east and west sides, and longer rooms in the corners (Fig. 49). The rooms were mostly roofed with barrel vaults, with pointed profiles, except for Room 8 on the upper storey, which was domed. An impressive stairway, lit by windows in the east and south façades, and covered with stepped tunnel vaults, survives in the south-east of the building (Figs. 50 and 51), although it was badly damaged in a collapse in 1991. 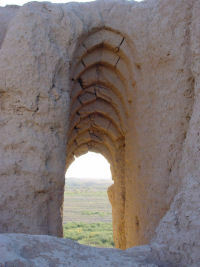 Figure 50 (left): Lesser Kyz Kala, showing detail of roof vaulting at the turn of a stairway. (S. Chmelnizkij, Berlin, 1961). 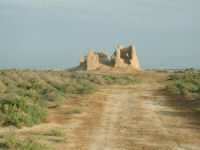 Figure 51 (right): Lesser Kyz Kala, the same staircase as Fig. 50, in 2002.